I admit, I chose the wrong cryptocurrency. Bitcoin is the clear winner right now. I loaded up on Ripple XRP and it’s just been going sideways and down. Once the Bitcoin fork anxiety was alleviated on August 1, Bitcoin has been a rocket to the moon. Current Bitcoin price as of today: $4,264. Folks are still moving their money from other alternative coins to Bitcoin. Media is pumping Bitcoin as well. Cryptocurrency and the underlying blockchain technology is the future, man. I can’t even begin to coherently explain this topic, but I’ll give it a shot. I wrote this article as I couldn’t find one single source of information to quickly get me up to speed. Most intriguing to the individual investor right now is the digital currency. Currency, in the general sense, is an accepted system of money and a way to store value. Bitcoin was recently accepted as an official currency in Japan. It is a bit peculiar as a currency, because there is no government or bank backing it (ie, the Federal Reserve Bank backs the US Dollar). Also, there is massive volatility. Since 2009, Bitcoin went from $0.0001 to $2583. Everyday there are wild swings in price. Normal behavior for currency (ie USD/ EURO) is ~1% swings. To summarize, individuals are going bonkers over the digital currency, buying and selling them on the open market. Coinmarketcap.com is the place people check for cryptocurrency prices, which trade just like fiat currencies, 24 hours a day, 7 days a week. Bookmark this link and follow it everyday. As mentioned above, the currency is decentralized. There is no government or central bank governing this type of digital currency. This is actually opens up a gigantic opportunity. Currently, there are +2 Billion people in the world who do not qualify for a bank account. Instead, they can use cryptocurrencies as a method of payment. This means they can have a digital wallet on their phone, and pay merchants or send/ receive money internationally for very low or no fees, instead of using expensive retail money transfer places such as Western Union. Huh? Every computer on the network maintains a running list (ledger) of every single transaction ever made (since 2009). There is an incentive for computers to be on the network doing this mundane accountant ledger work. If a computer is the first to bundle the transaction into a block and verify the proof of work equation (complex algorithmic equation which I don’t understand), it is rewarded with some amount of Bitcoin. This is called bitcoin “mining”, which is really big in China, Norway, and Iceland (low/ subsidized electricity). These cryptocurrencies use a massive amount of electricity to power the system. The blockchain technology has been adapted by companies such as Ripple and Ethereum as a medium (protocol) to transfer objects (currencies). What do you mean?? Why are cryptocurrencies important? Real world Bitcoin example: I want to send Bob $100 US Dollars in digital currency (called Bitcoin $2503 USD/ Bitcoin as of 6/16/17) directly. On my phone or computer, I send Bob 0.04 Bitcoin which is equal to $100 USD. The key here is that I do not need an intermediary bank (Chase, Wells Fargo, Paypal, Venmo) to do this transaction. It’s like using physical cash, but without any government or bank involvement. In the end, every computer on the network has a record of this transaction which is stored on a chain of blocks. Another example is wiring money (SWIFT/ ACH). Wiring money has significant cost and often takes many days. When I wired money to Tanzania for a Safari, I had to pay my bank $25 per wire transaction, and it took over 5 days. With proposed blockchain based systems like Ripple, it will be instantaneous and hopefully, a lot cheaper. SWIFT is even looking into blockchain themselves. Credit/ Debit Card transactions: There are too many steps in a traditional credit card transaction. The blockchain will streamline this process. Note: Both wiring money and Credit card transaction processes make banks and intermediaries a TON of money, so I don’t know how willing banks will be to change. During wire transfers, banks can make millions by holding your money for as long as possible. But as you can see with Ripple in Japan, some banks are adopting the technology fairly quickly. Ownership of your vehicle can be stored digitally on your own device. Transfer car ownership through your phone. A self driving taxi vehicle can be its own entity. It can be programmed to receive payments from customers. Then when it needs fuel or repairs, drive itself to a gas station or shop and pay for itself. Cryptocurrency has a nefarious past, with close associations with the “Darknet/ Tor network/ Silk Road”, places where you could and can still buy illegal things like drugs, guns, hitmen, etc. Also, I highly suspect folks from other countries are using this to launder money, or move money illegally out of their country. Note 1: Most cryptocurrencies are NOT anonymous, which means you can easily trace who is using it. There are some anonymous currencies out there such as Monero, but we’ll talk about that later. There are also cryptocurrency tumblers that can help anonymize transactions. Note 2: the Dread Pirate Roberts, mastermind of the Silk Road 1.0, was caught in a public library I visit occasionally. Today, there are some legit internet retailers (buy.com/ overstock.com/ newegg.com) and a few progressive restaurants who accept Bitcoin, but digital currency has a long way to go to gain mainstream adoption. Another important role Cryptocurrencies are playing today is to raise money for companies, very, very quickly, skipping Venture Capital Funds. Read this, hard to explain here. What are the cryptocurrencies I should follow? Threats: Slow transaction times because of the popularity of Bitcoin and the 1MB size of each block (proposal is to increase to 2MB which is probably not enough). Transactions are taking > 1 hour to settle. Threats: Ethereum faced a major hack in 2016 called the DAO attack. This caused the Ethereum blockchain to split into two. Now there are two coins, Ether and Ethereum Classic. What? I don’t understand. The Ripple company is partnering with many banks with their blockchain technology. The Ripple network is not truly decentralized and open, meaning, you cannot join a Ripple network between the Bank of Japan and the Bank of London. The Ripple network allows users to choose which “nodes” to trust. Called a private ledger. XRP is not a currency, but a digital token required for transactions on the network. Basically, If Bank A send Bank B $1.5 million on the Ripple Network, each transaction will cost 0.0001 XRP. Interledger Protocol is the Ripple standard of transferring any kind of currency, using XRP. It can connect to any network or system, such as Ethereum or Bitcoin, which makes it very interesting. Main competitor is IBM’s Hyperledger. Threats: If XRP is not a currency, then the price of the XRP is based on speculation and perception. Again, I don’t understand the concept of money. I bought a few XRPs just to test the waters. It’s been alright so far (~100% gain). Note: I goofed, I should have bought Bitcoin. I don’t know much about this but it seems to be the standard currency used on the Darknet, because of it’s privacy (uses Ring signatures that hides the sending address). People are using Monero to “wash” their Bitcoins so that they can not be traced. Other popular cryptocurrencies are Dash, Litecoin, NEM, Stellar Lumens, Ethereum Classic. Do I know if this is legit? 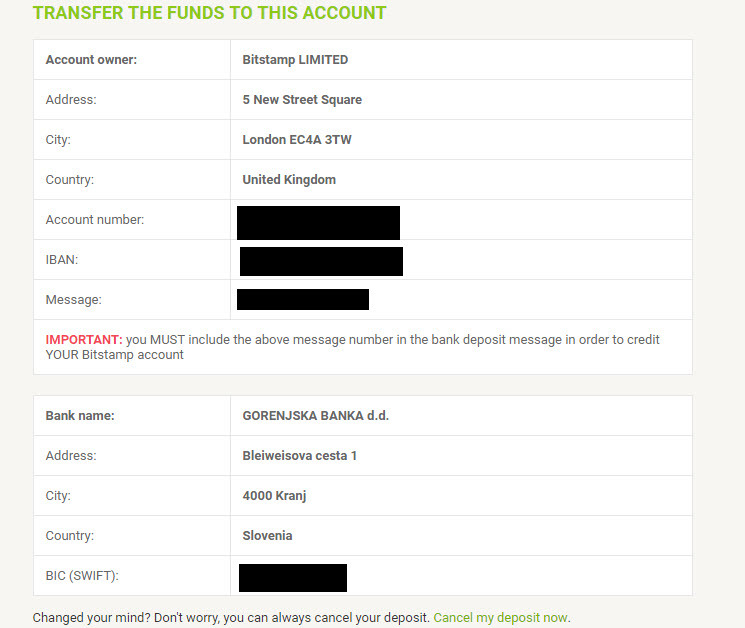 Will the money I wire over to a cryptocurrency exchange in Slovenia magically disappear?! Is there a giant bubble and will I lose all my money? Answer: I don’t know. However, the volatility of the market is pretty exciting and I’m just playing around with money I can afford to lose (and so should you). The fever has recently hit Japan and Korea, so some speculate the price increases are due to these countries entering the market. For example, Bitcoin the protocol and currency has not been hacked (yet). However, if people store their cryptocurrencies on shared exchanges or banks, then yes, there can and will be theft ie Mt Gox, Bitfinex. Basically, if everyone stored their digital money in their own digital wallets on their own devices, it would be safer than storing it at a central exchange. Think of it like a bank robbery. First and foremost, this is not investment advice. I am just sharing my experience with you so that you can make your own decision. The common person cannot invest directly in the companies or the blockchain technology. There are a few ETFs that may hit the stock market soon, but until then, we’re stuck buying individual cryptocurrencies to invest in the market. There’s a few ways to buy cryptocurrencies. Below I document how I did it, but note that it’s not necessarily the easiest or the safest method. Open a cryptocurrency exchange account. I opened both Bitstamp and Kraken accounts. What the heck are those?! Basically they are exchanges where you can trade US dollars for Bitcoin, Ethereum, Ripple XRP, and a few other coins. There are bigger exchanges, like Poloniex, but that process is more difficult, as you have to create your own digital wallet on Gatehub.net, and transfer your coins over to the exchange. Let’s forget about those for now. Create an account on either of the sites. This is the weird step. They ask for a copy of your a) drivers license b) passport c) social security number d) A selfie picture with you holding your ID and a note that says, “this account is for Bitstamp trading”. I don’t even need to do this type of security steps to open a bank account or get a credit card! Anyway, I did it on both Bitstamp and Kraken accounts, reluctantly. 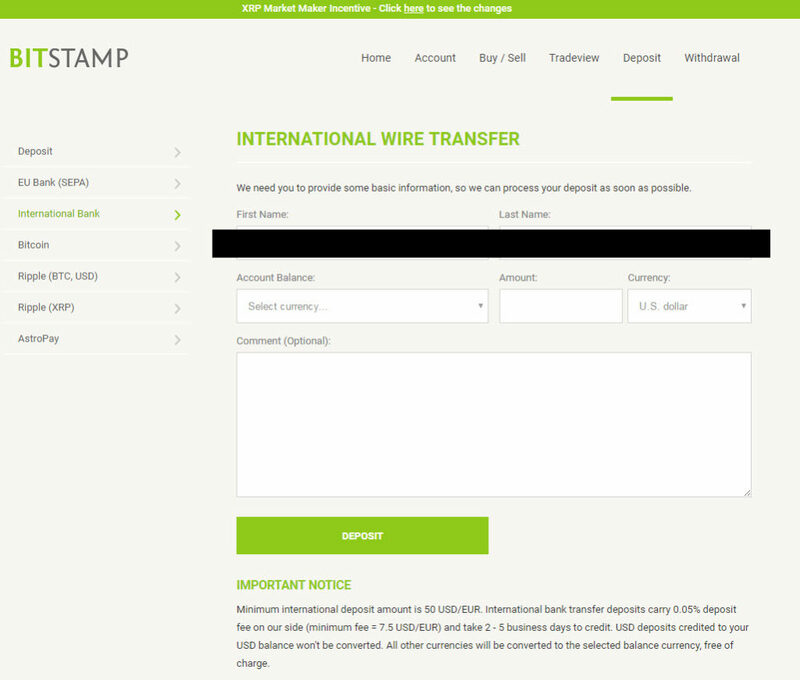 Now you have to wire money over to Bitstamp (international wire to a bank in Slovenia). Kraken uses a San Francisco based bank, via an intermediary called SynapsePay. 2 steps in this wire transfer. 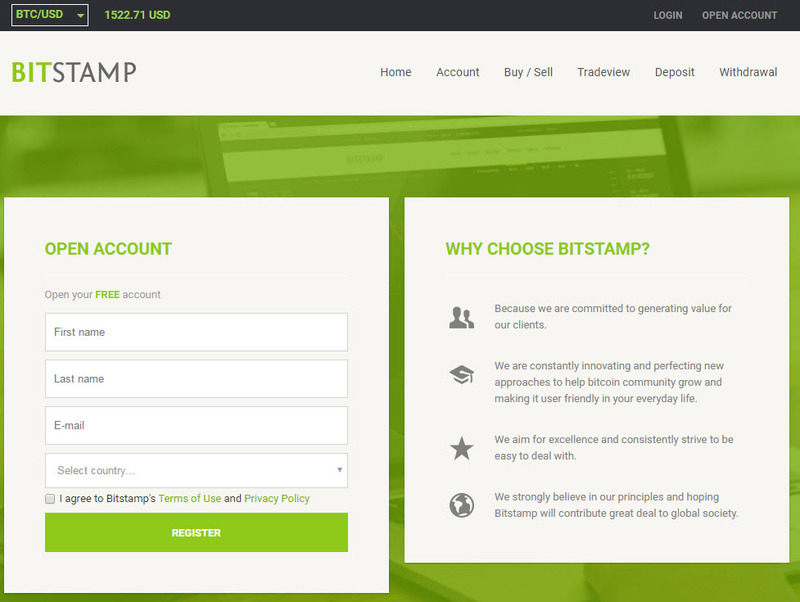 Step 1a) Go to Bitstamp and Click “Deposit”, and select “International Bank”. Type in desired amount to send. Step 1b) See screen with all the instructions on how to wire the money. Note (August 14, 2017): You can use your credit card to fund your cryptocurrency accounts, at places like Coinbase. Go to your online bank account, and wire money, using the above information. Make sure you include the “Message” in your Wire Notes. My bank charges $25 to wire money International, and $0 domestic. Which Cryptocurrency Exchange do I use? Kraken is a San Francisco based exchange. Oh how I wish I could recommend this site. They are local to me in San Francisco, their bank is domestic, and I like the vision of their CEO Jesse Powell. Security seems pretty legit here. SynapsePay, the intermediary wire transfer company used by Kraken, rejected my first wire transfer, causing me to miss out on a really big run on XRP. By the time I sent my second wire transfer, I missed out on a >60% run on XRP. Bitstamp can trade your USD to XRP directly. 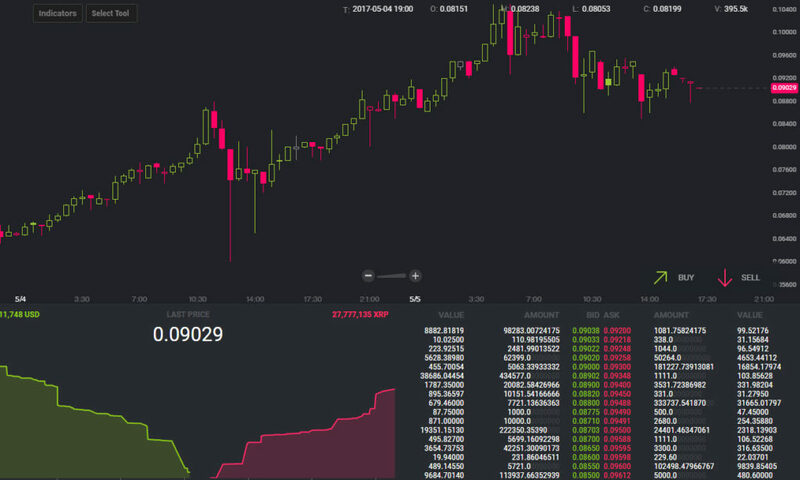 On Kraken, you must first trade USD to Bitcoin, then use your Bitcoin to buy XRP. 2 transactions which you are charged commission. Update 2017, Kraken now has USD to XRP “pairs”. Yay! Always use 2 Factor Authentication! Basically, the 2nd Password, you will use a mobile app called Google Authenticator. 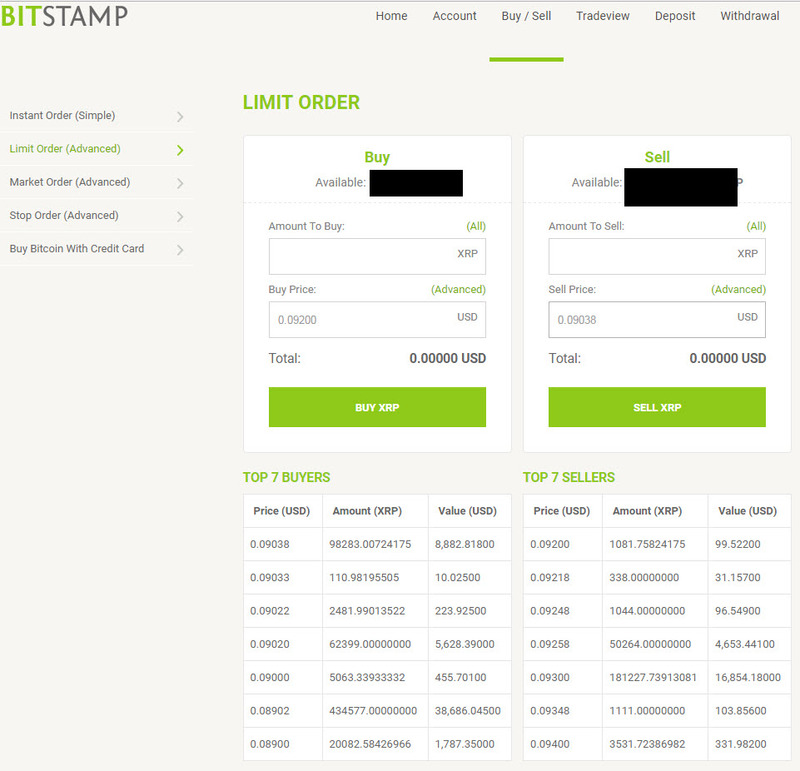 On Bitstamp, they will show you a QR code on the screen. On the Google Authenticator App, you will capture this QR code, and then it will continuously generate a 6 digit number. Whenever you login to your Bitstamp account, your 2nd Password will be the randomly generated number on the google authenticator app on your phone. These are the wild west days of cryptocurrency. Regulations are constantly changing, and when the government finally cracks down on all of this, there will be reckoning. Until then, cryptocurrency profits are treated as property, strangely enough. See article here. Create a digital wallet at Gatehub.net and fund via wire transfer. Also you can digitally transfer your coins, but I haven’t done this. Supposedly this is safer than keeping your coins on an exchange which can be hacked. The future of payments is going to be some form of cryptocurrency and/ or blockchain. In <5 years from now, buying a cup of coffee will have underlying technology we are seeing emerge today. For more information, check out the below bookmarks or read this book: The Age of Cryptocurrency.